The annual Armenian Genocide commemorative event that the Istanbul branch of Turkey's Human Rights Association (IHD) and the European Grassroots Antiracist Movement (EGAM) planned to hold on April 24 -- which they have been holding every year since 2005 -- was blocked by police, who seized the placards and banners about the genocide and carried out criminal record checks on participants. Three human rights activists were detained and then released. 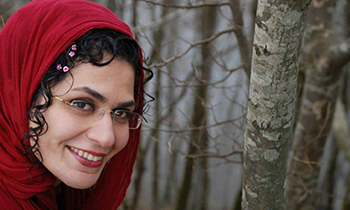 In an exclusive interview with Gatestone, Ayşe Günaysu, an activist with the IHD's Commission Against Racism and Discrimination, said that "on their way to police station, the detainees were made to listen to racist songs containing hostile words concerning Armenians." "During our commemorations, we showed the crime scenes. We exposed the museum of Turkish Islamic Art and the Haydarpaşa railway station as crime venues. We read out loud and then recorded the names of more than 2,000 Armenian cities, towns and villages destroyed during the genocide. We wrote down their names and exhibited them on show boards. So, we not only commemorated the deaths, but also tried to share the truth about the genocide with the people of Turkey." "We do not ask for the permission of the office of the governor of Istanbul to commemorate the genocide. We only call them on the phone and inform them of the hour and venue of the event. Our banners read 'Genocide! Recognize! Beg Forgiveness! Compensate!' in English and Turkish. The police told us we could hold the event on condition that we do not use the word 'genocide.' But we said we would not engage in self-censorship and gathered at the square of Sultanahmet to commemorate the genocide victims. We had also prepared a genocide commemoration press release, but we could not read it out or distribute it to the press due to police intervention. The police also seized our banners and the photos of the Armenian intellectuals arrested on April 24, 1915." "At the root of all evils in this country lies the genocide committed against the Christian peoples of Asia Minor and Northern Mesopotamia, against Armenians, Assyrians and Greeks. "Now, we once more bow with respect before the memory of the Armenian, Assyrian/Syriac and Greek victims of the genocide. And we, the descendants of the genocide perpetrators, repeat our feeling of shame for not being able to prevent the continuation of the genocide through its denial and successive waves of destruction through generations." "... during the police intervention and detentions at the genocide commemoration in Sultanahmet, Küçük's daughter, Baydzar Midilli, screamed: 'My mother is a genocide victim, yet you still say there is no genocide?!' As members of the police department started walking towards her, apparently to detain her for protesting, Eren Keskin, a human rights lawyer, stopped them and told them that Midilli's mother was murdered for being an Armenian. A police chief then prevented the officers from arresting her." "There were a lot of armed police officers at the cemetery. While people were praying, the police were about to intervene. Two activists asked the police to respect those praying and mourning. Fortunately, the police listened, and moved a slight distance away from the congregation." The Christian genocide in Ottoman Turkey lasted for 10 years -- from 1913 to 1923 -- and targeted Armenian, Greek, Assyrian and other Christians. It resulted in the annihilation of around three million people. Although a century has passed since then, it is still a bleeding wound for the victims and their descendants. The online newspaper Artı Gerçek recently reported that the bones of victims are still visible in a lake in in eastern Turkey. Locals named the lake "Gvalé Arminu" (the "Armenian lake") after the massacre of more than 1,000 men, women and children that took place there 103 years ago. According to the report, only two children, hidden by villagers, survived. Even the bones that are revealed when the lake dries up in the summer have not led to an investigation by Turkish government, which continues to deny the genocide and attempts aggressively to silence those who try to speak out about it. On April 24, the government-funded Anadolu Agency (AA) ran a story headlined: "The source of Income of Armenian Lobbies: the Genocide Industry," alleging that the Armenian diaspora and the republic of Armenia make false claims about "the Armenian genocide lie" for financial gain. 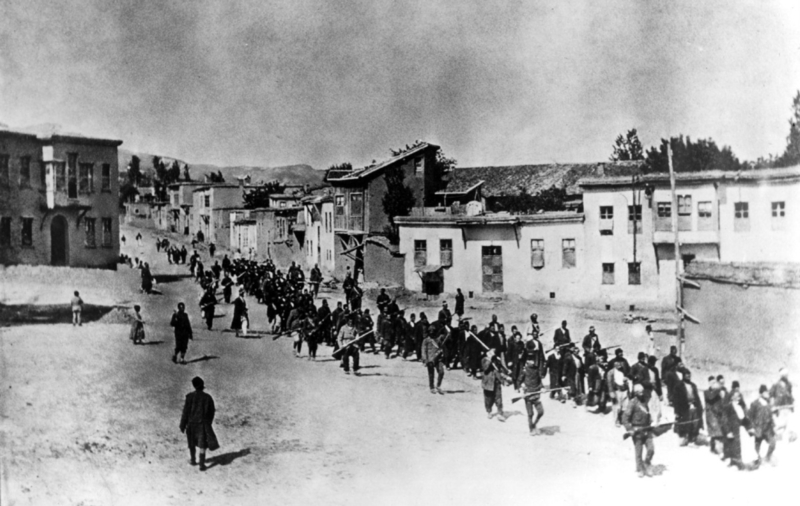 On the same day, the AA ran a separate story: "Turks recall escaping from Armenian oppression." According to Turkish myth, it was actually the "treacherous" Armenians who persecuted Turks; and the Turks were acting in self-defense to rid themselves of murderous Armenians. A widespread Turkish claim is, "They deserved it". The human rights persons who were commemorating the Armenian massacre in Turkey were arrested and detained for no reason, except that they were remembering their relatives who were murdered by the Turkish government and people 103 years ago. Turkey denies that the genocide ever took place, but the whole world believes it did happen; there were many witnesses of the genocide, who spoke about it to the free world. Turkey should not be a member of NATO as as Erdogan cannot be trusted; he has murdered thousands of Kurds for no reason and he continues to persecute the Kurds. The world did nothing to stop Turkey from exterminating Armenians then and today the world is doing nothing for years to stop Turkey from exterminating Kurds. Turkey is already in Syria continuing it's slaughter of the Kurds and the world reaction is like that of a cow watching a train pass. Time for Kurdistan going from Turkey to Iran in their ancestral land so they can protect themselves from Turkey and any other who is against freedom of religion existing among Kurds. Kurdistan now! I was once in love with a Turkish woman from Istanbul, a liberal academic, pro-Ataturk, anti-Erdogan, but she didn't know anything about the Armenian genocide, and looked genuinely bewildered when I brought the subject up. On the other hand, she was obnoxiously anti-American, always going off about the usual talking points about the evils of capitalism, the American Indian genocide, the plight of Black people, idolizing Che Guevara, hating George Bush, etc (we last saw each other in July, 2001. I actually told the baggage handlers at the airport to just let her through without inspecting her luggage. Then a few months later 9-11 proved why I was wrong). We drove through a Black neighborhood in my city, and she was amazed at how well off Black people were in America, as compared to Turkey. She met simple farmers in upstate New York, and she looked defeated that she could find no flaw with them as examples of Americans. Yet, on Facebook she continued to post memes depicting poor old turbaned men drinking from puddles in dirt streets (obviously these were not taken in the US), with the word "CAPITALISM", then below it, a picture of a cheerful group of people obtaining water from irrigation, with the word "SOCIALISM". Other times even more childish memes of American flag toilet paper. It was comical for at first, but eventually I had to let her go because our world views were just irreconcilable. Technically the crime of genocide did not exist until after the 2nd WW. The Turkish Government is correct from this point of view although of course the mass killing of an ethnic group is otherwise the same action. Perhaps there is a need to describe what happened in different language so that this cannot be used as an opt out. Turkey is still denying The Armenian Genocide, and the world continues not responding this horrible crime. We have acknowledged the atrocities of the Nazis, but when it comes to Islamic atrocities against the Christians throughout the Middle East we seem to turn a blind eye. It is time to hold Turkey, Syria, and Iran responsible for their crimes. Well said. There are standards of decency and accountability to which the Western powers are held but these do not apply to Islam or its apologists. These double standards are reinforced by the UN who allows for the sanitization and authentication of the totally undemocratic and unaccountable Islamic states. It is about time world governments who have aided and abetted the Turkish government to hide these facts, were also investigated. How on earth could Christian-led governments of the day stand by while watching millions of their people massacred? There is a Satanic movement behind this deception and those persons should be exposed and punished if they are still alive. Turkey should be forced to pay compensation to the survivors heirs. Turkey should be required to acknowledge guilt and apologize. a) is required of them. b) will win them favor in heaven. d) entitles their families to compensation from their church. e) killing unbelievers is merciful, to reduce their punishment for disbelief. As long as Muslims believe this, they will murder from now to eternity. No matter how much the Turks are lying and trying to suppress the truth, that the rest of the worlds knows about, they won't succeed. We know what they have done. I fail to understand why Turkey is still allowed to be a NATO memberstate. Originally, NATO was supposed to defend democracy. Hans, it seems pretty clear that turkey was allowed into NATO so that the non-USSR allies could have access to a border of the USSR; there were u.s. IRBMs stationed in turkey before ICBMs existed. turkey was nominally secular at the time, if not a totally free state; the military would seize power in a coup from time to time to ensure that pious muslims didn't turn the State back into a theocracy. this was all because kemal ataturk had secularized the nation after WWI in an attempt to modernize and protect the nation (from european predation, which seemed quite likely as recently as shortly before WWI); since it was just barely a republic, more along the lines of a somewhat benign military dictatorship, islam did not fare well. the elite of society were often MINOs, and grew to want freedom for themselves and their nation; unfortunately, islam was still infecting the majority of the people, and with erdogan in power permanently now, secularism is doomed. folks like ms. bulut, who obviously loves freedom, must watch in despair as their nation turns back into a 7th-century s**thole. thus, NATO was indeed meant to defend republics, but turkey was one of those republics in name only. she was a tool to fight the soviets. The Turkish government must indeed put a stop to the ongoing genocide & destruction of churches & desecration of graves etc & also stop sitting in denial of this monstrous atrocity. However, who exactly will force the Turkish government to do so? The West certainly doesn't care, while Turkey may even possibly be admitted into the EU in years to come - all-in-all it's an absolute disgrace that the West never seems to speak out about & condemn Turkey for the role it played in all this - vested interests come into play here on both sides ! No doubt Hitler took this as his model, blame the wicked minority for their crimes and persecute them for their evil deeds.